We don’t often admit it, but many of us already have a preconceived idea of who’s saved and who isn’t. Oftentimes Christians assume that anybody that doesn’t go to church, read the Bible, or ever mentions God can’t possibly be one of His. Even Simon Peter had that problem. One day the Lord showed him a vision where he saw all kinds of animals which beforehand the Jews had considered unclean. In the vision, the Lord told him, “Get up Peter. Kill and eat.” Peter said he would not eat anything “unclean” and the Lord told him “Don’t call anything I have cleaned, unclean.” That account is found in the 10th Chapter of the Book of Acts. Up to that day, Peter had thought that only the Jews were clean, not the gentiles. God showed him otherwise. The way we talk and act, the places we go and the things we do on a regular basis, and even our circle of friends are always pretty good indications of what type of people we are. Still, there will always be some who will throw us for a loop like Elvis just did to me, and I‘m happy he did. In fact, I look forward to meeting him in Heaven one day. 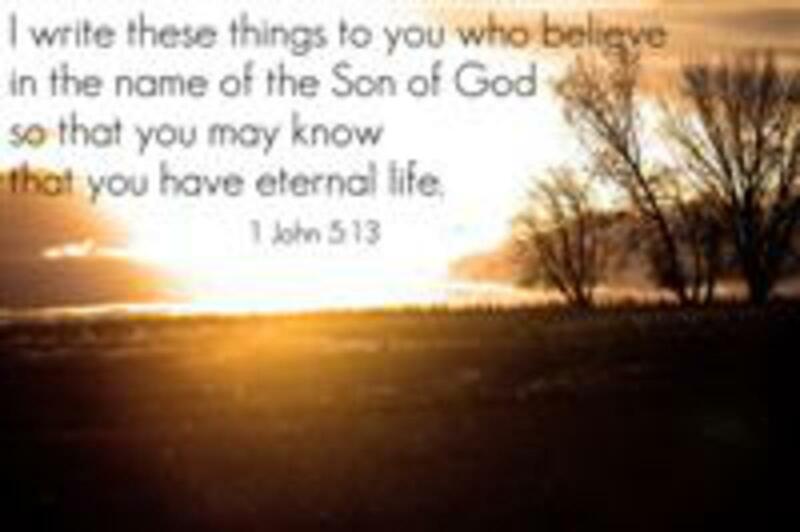 (1 John 5:13) These things have I written unto you that believe on the name of the Son of God; that you may know that you have eternal life, and that you may believe on the name of the Son of God.